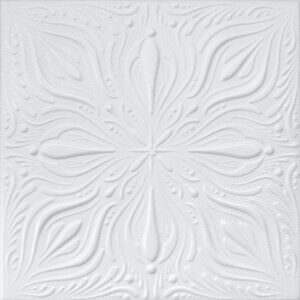 From UGLY to BEAUTIFUL CEILING, GLUE OVER EXISTING POPCORN, STUCCO KOCKDOWN or DRYWALL CEILING! 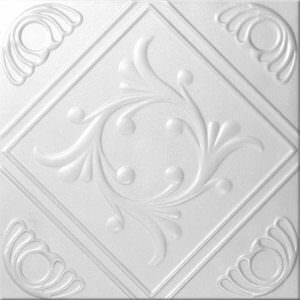 Decorative Plastic Ceiling Tiles 20″x 20″ (2.67 SF) creates a Great Do It Yourself Project or a new addition to an existing business. Made of extruded polystyrene (high density Styrofoam), tiles can be applied with glue for foam over any secure surface. Eliminate the messy, costly process of Popcorn Removal, easy to install, save time and money. 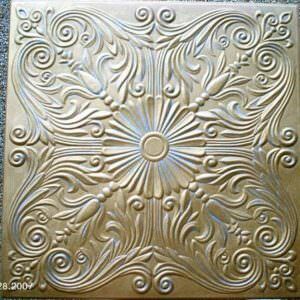 Using only water based Metallic or plain paint in any color with roller, brush, sponge or cloth to create Faux Design. Eco friendly, change ugly ceiling into a beautiful ceiling! 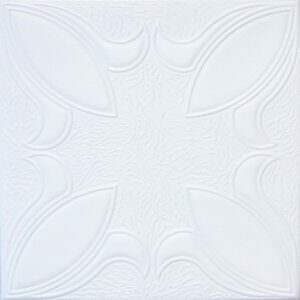 SKU: SKU00411 Categories: Styrofoam Ceiling Tile Royal Design 20x20, Styrofoam Ceiling Tiles 20x20. Styrofoam or Polystyrene Ceiling Tiles are a Great Idea for Remodeling, Renovating or Building a New home or Office or preparing your Home or Office for sale, for a beautiful upgrade our Styrofoam Ceiling tiles or a perfect fit for your innovative project. Easily applied over secure POPCORN, Avoid the Messy Job of popcorn ceiling removal! Popcorn ceiling removal made easy by not having to remove it. Perfect for Bathroom, Kitchen Bedroom or any room as long as the surface is basically level, secure free of dirt or dust, etc. 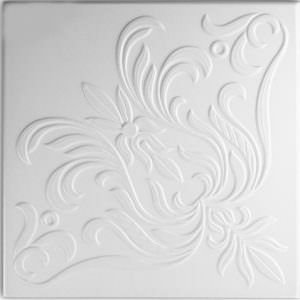 Our ROYAL decorative ceiling tiles and panels are made of uniform extruded polystyrene foam. With this technology, it is possible to obtain smooth and even surface to be printed with natural-looking patterns, like wood imitations. Additionally, the ROYAL tiles have high water resistance and their smooth surface makes them easy to clean with ordinary cleansers. Install in standard factory white color or paint in any color with a water based paint. 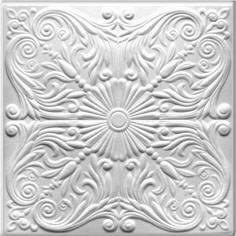 The STYROFOAM ceiling tiles are the most popular type of decorative ceiling tiles, ideal if you want to change your decor substantially without straining your budget. 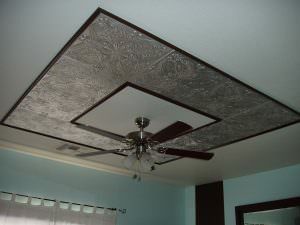 Available in a wide range of designs, the Styrofoam ceiling tiles will satisfy even the choosiest customer. You can always renew them with water based paints and they a beautiful ceiling for many years. Easily Cleaned & Washable a Multiple purpose Cleaner using a soft wet sponge. May be arranged in different ways: with gaps, diagonally, etc. Helpful addition to aid with Insulation, no rating. Helpful addition to aid with Sound Proofing, no rating. Paintable with any water based paint. Paint with Metallic Paint to look like Antique Copper, Copper, Antique Silver, etc. Just glue the Styrofoam ceiling tiles up using Ceramic Tile Adhesive A/K/A Mastic, Liquid Nail for foam or Loctite All Purpose Adhesive for foam. Just have a secure flat clean surface and with no real preparation of the surface, glue the ceiling tiles up. 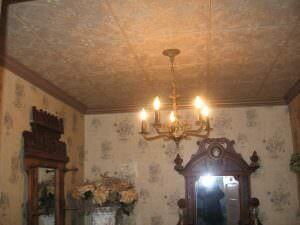 An Elegant Solution to ugly outdated popcorn or stucco ceiling, simply glue the Styrofoam Ceiling tiles up. No special tools or skills needed. 500 mm x 500 mm (19 1/2″ x 19 1/2″) Approximate Measurements.